Father Tony took up his ministry to our parish on March 13th 2018, when he was licenced to the parish by our diocesan Bishop, Martin. Father Tony is a part-time vicar of Pevensey. 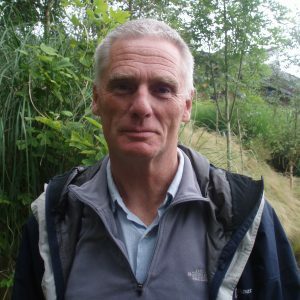 Below is Father Tony’s letter of introduction to his future parishioners in Pevensey…….please read on…. “I was born in Margate, but grew up in Eastbourne. After leaving school I read economics and geography at Cambridge – and whilst there met and married Pat. We moved to Birmingham to study the post-graduate certificate of education – and I then taught in Eastbourne for 24 years, during which time our family steadily grew, with the arrival of four sons: Peter, David, Andrew and Paul. I was fortunate to have Nicholas Reade as my ordination training incumbent, and Tony Christian as my local tutor. I was ordained in 1993, and was based at St Mary’s Eastbourne as a non-stipendiary minister, before moving in 1997 to East Grinstead as a full-time curate. After two years, we moved to Sheringham in North Norfolk, where I was the vicar for nine years, before going in 2008 to Hythe in Kent, where I was vicar for six years. Wanting a fresh challenge, we then experienced rural ministry in Cornwall, where I’ve had responsibility for 8 churches over the last three years, combining this with being rural dean. 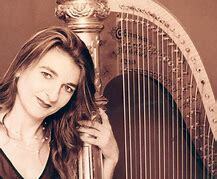 Acclaimed international harpist Gabriella Dall’Olio will take us on a voyage around the world of the harp! Her performance will illustrate the variety and expressiveness of this wonderful , dazzling instrument, and she will play music which includes work composed especially for her, by the distinguished local composer Paul Lewis. Please book in advance on 01323 743301 for this rare performance of an outstanding instrumentalist! 1. If a child or vulnerable adult is at immediate risk of being harmed, please phone the police on 999. 2.For specific safeguarding concerns about a person or persons (child or vulnerable adult) in the Parish of Pevensey (St Nicolas or St Wilfrids churches) please contact the Parish Safeguarding officer via email to pevenseywarden@btinternet.com. 3.The phone number to call if you are worried about a child in East Sussex is 01323 464222, or 01273 335906 or 01273 335905 for out-of-hours calls. We are open and welcoming to all, as you’ll find out if you join us after a service for some tea, coffee and biscuits. Our facilities include wheelchair access. If you’re in the area and want to join in, our main service is on Sundays. Feel free to take part as much or as little as you want. We have many visitors from other churches and some that have never set foot inside a church before. You are welcome to just come to have a look. If you are planning a wedding, christening or funeral, the churchwardens can help you. Please contact us for further information and advice. Normal service times of 9.15 and 11.00 at both churches. followed by coffee and refreshments. ST WILFRIDS HALL IS MANAGED BY A SEPARATE COMMITTEE, AND NOT BY THE CHURCHWARDENS.